*Chick-peas/garbanzo beans- 7.3 grams of protein in 1/2 cup, also high in fiber and low in calories. *Vegetables - with lots of antioxidants and heart-healthy fiber. *Chia - easy protein (4.7 grams per ounce/2 tblspns) and fiber to recipes: Sprinkle over salads, add to yogurt, oatmeal, smoothies, a gelatinous texture when soaked in liquid for rich, creamy pudding. Combining iron-rich foods (leafy greens, dried fruit, artichokes and legumes) with those packed with vitamin C (tomatoes, peppers, citrus and leafy greens) helps your body absorb iron more efficiently. Bean and tomato salad tossed with steamed broccoli, chopped peppers and olive oil will boost your absorption of iron and vitamin C so that you get more oxygen to the muscles and brain. Researchers at the University of Illinois at Urbana found that the combination of broccoli and tomatoes reduced the size of tumors in rats. making the tea five times stronger. Purdue University discovered that adding lemon to green tea also slowed the breakdown of these antioxidants in your digestive system so your body achieved more complete absorption. Consuming green tea when you eat fish helps block mercury from entering your bloodstream. You can drink several cups each day without harmful side effects. You’ll see a difference in your skin health and weight. People who drink green tea daily tend to lose ten pounds more per year than those who don’t. Salads that contain leafy greens (such as spinach) and tomatoes are rich in carotenoid antioxidants. the healthy fats that are heart-healthy and delicious. A study conducted at the University of Geneva found that eating a salad with a cup of green tea as your last meal stops your body from storing excess fat and boosts your metabolism by 4% while you sleep. Researchers at Ohio State University discovered that the monounsaturated fat found in avocados boosts the cancer-fighting properties of lycopene found in tomatoes – making it four times more effective. Beta-carotene – proven to boost overall immunity – is three times more effective when combined with fresh avocado. Add these fruits to salads and pasta, or make salsa and guacamole for a powerful antioxidant snack. According to Boston University professor of nutrition, Joan Salge Blake, when you add freshly aqueezed orange juice or fresh berries to whole grains, your body is able to absorb six times the amount of iron, while providing sustained energy for far longer than either of these foods consumed alone. Apples are rich in quercetin – an anti-inflammatory crucial to heart health. Dark chocolate contains powerful antioxidants called flavonoids. Eaten in moderation, this pair forms a tasty snack that fights blood clots, improves circulation and reduces your chances of heart disease. Tossing the phytochemical strengths of raspberries, pomegranates and red grapes in to the mix adds cancer-fighting to an already delicious and nutritious combination. Creating a ‘organic peanut butter cup smoothie’ is a quick and delicious way to strengthen your heart and keep your bones strong. A study done at Hackensack University Medical Center showed that the combination of monounsaturated fat in organic/no added oil peanut butter helped the body absorb more vitamin D from milk than was possible from drinking milk alone. Boost the effects even more by adding fresh berries! Monique Ryan, author of Sports Nutrition for Endurance Athletes, suggests a smoothie containing bananas and yogurt for better absorption of muscle-repairing glucose and amino acids. After intense physical exertion, this combination speeds up muscle recovery while adding strength. A study in Australia suggests that combining carbs with caffeine post-workout also boosts muscle energy better than do carbohydrates alone. found in foods such as salmon and tuna create a brain booster of intense proportions. Separately, both protect the cells of the brain, increase alertness and focus, improve memory and overall cognitive ability. Combined, they have been shown to improve the scores of students who eat it prior to testing. Eat your vegetables and drink more water. Vegetables are naturally high in vitamins and nutrients, low in calories and provide antioxidants that boost immunity, increase energy and improve your metabolism. Adding vegetables throughout your day will give you digestion-improving fiber. Making sure you’re properly hydrated will positively impact every cell in your body and keep you out of the 75% of Americans who are chronically dehydrated. Learning how to combine your foods will ensure you’re making every bite count. Reducing inflammation, slowing aging, improving heart and brain health, getting control of your weight and preventing disease, all depend on nutrition. —can provide all of the health-enhancing factors needed to build a better body. (such as spinach, broccoli, blueberries and tomatoes, to name a few) are not the answer! they are grown quickly with artificial fertilizers, picked too green, and transported / kept too long in cold storage. 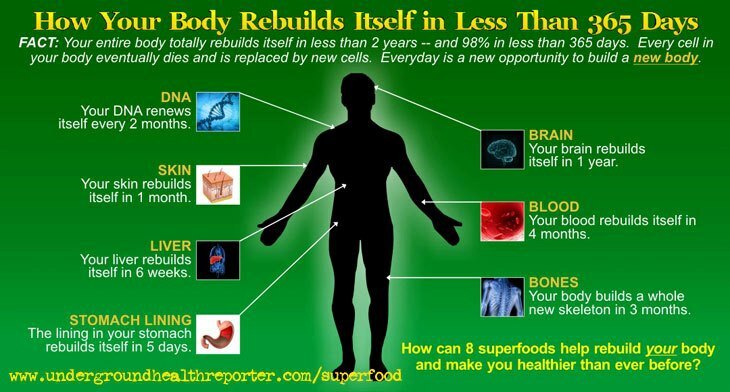 the human body needs to rebuild/repair. 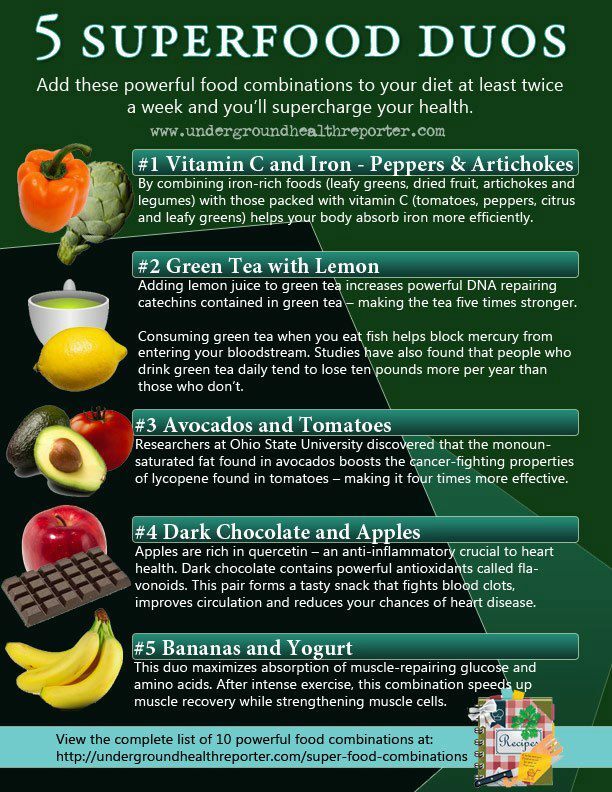 and expect these super-foods to work. The nutritional properties of each of these nutritional powerhouses could fill an entire book. like adding rocket-fuel to a car's gas tank! water-grown algae that contains more health-enhancing chlorophyll per gram than any other plant. essential fatty acids and many other nutrients that are beneficial to your health. and helps you have a longer potential lifespan. and reported that such a diet helped his patient's look and feel 6 to 12 years younger than their chronological age, and their overall health dramatically improved. and developed healthier, younger-looking skin after only 2 months. is "broken cell wall chlorella"—the most beneficial kind of chlorella. giving it the power to deliver superior health benefits. and now cultivated in Central and South America, Sri Lanka, Malaysia and the Philippines. have become recognized in recent years as being highly beneficial to human health. several thousand times more of the powerful nutrient zeatin than any other known plant. of zeatin are due to its ability to regulate cell division and growth, and delay cell aging. With the zeatin contained in moringa, new skin cells grow at a faster rate than old skin cells die. that have been shown to regulate abnormal cell growth (or a retardation of their growth). This has earned moringa the reputation of being a plant that supports health. India's traditional natural Ayurvedic medicine currently uses moringa in the care of over 300 diseases. the potassium content of 3 bananas; 3 times the iron of spinach; and 4 times the Vitamin A of carrots. is a hearty root vegetable that grows in the high Andean plateaus of Peru. and the ancient Inca worshipped it as a sacred plant. asked to be paid their tributes in maca rather than gold! but it has actually been traditionally used for over 2,000 years to address a variety of health conditions. fatigue, mood swings, memory loss—and even male impotence. Maca's reputation for restoring physical strength and libido has been remarked upon by many South Americans. 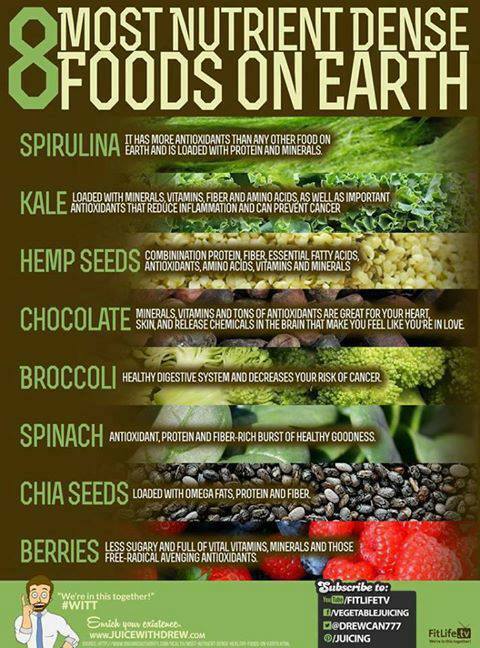 considered to be the most nutrient dense food on the planet. 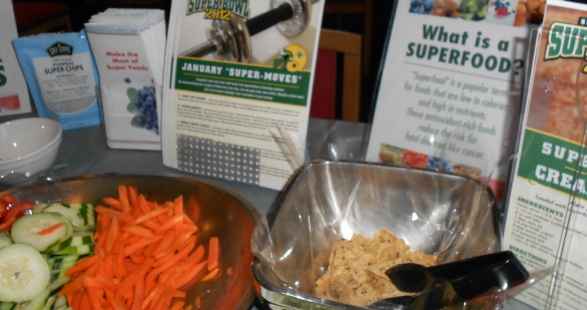 it is considered a superior whole food alternative to isolated vitamin supplements. but good nutrition can offer support for good health and healing. soybeans (35%), peanuts (25%) or grains (8 to 14%). which are the amino acids the body cannot make, but must ingest. Spirulina also contains extraordinary concentrations of vitamins, minerals and other nutrients, such as beta carotene (10 times more concentrated than that of carrots), iron, potassium, magnesium, copper, calcium, chromium, manganese, phosphorus, selenium, zinc, essential trace minerals, and gamma-linolenic acid. It is also the most abundant source of Vitamin B-12, and is also rich in phytonutrients and functional nutrients that have a demonstrably positive effect on health. which grow naturally in the shade of tropical rainforests in South America and the West Indies. as "one of nature's most fantastic superfoods." Cacao is the No. 1 source of magnesium - balances brain chemistry... builds strong bones... helps regulate heartbeat and blood pressure, constipation and even eases minor menstrual cramps. Contain compounds that can trigger weight loss, and improve your mood considerably. Has more antioxidant flavonoids than any food tested--more than blueberries, red wine, black and green teas. Serotonin - Cacao raises serotonin in the brain; regulates mood, help with PMS, and promotes well-being. Endorphins - Cacao stimulates secretion of endorphins, producing a sensation similar to "runner's high"
Sulfur - Cacao is high in Sulfur -builds strong nails and hair, promotes beautiful skin, detoxifies the liver, and supports healthy pancreas functioning. such as the cacao contained in the Mega-Nutrition Organic Superfood blend. Wheatgrass is the young grass of the common wheat plant, triticum aestivum. Its leaves are juiced or dried into powder for human consumption. rejuvenate aging cells and helping to tighten loose and sagging skin. Regulates normal cell growth: wheatgrass juice has a powerful ability to regulate cell growth. Powerful detoxifier: protects liver and blood, and neutralizes toxic substances like cadmium, nicotine, strontium, mercury, and polyvinyl chloride. are a rich source of antioxidants and powerful phytochemicals that support and enhance health. This amount of Vitamin C provides extraordinary immune system support and enhances mental health. conducted an extensive study of hundreds of botanicals. He concluded that camu camu is one of the most outstanding natural mood support nutrients, and ranked it the No. 1 Natural Remedy for many traditional ailments. is a small, black-purple berry that is considered by many to be one of the world's most nutritious foods. with a phenomenally high ORAC (Oxygen Radical Absorbance Capacity) value. and this gives them the ability to support healthy aging. Acai berries are rich in dietary fiber, monounsaturated (healthy) fats and phytosterols that help promote healthy digestive and cardiovascular systems—and contribute to weight loss. They also have an abundance of essential fatty acids and an almost perfect essential amino acid complex and proteins that are essential for proper muscle contraction and regeneration. Acai berries have been shown to support a graceful aging process... strengthen the immune system... regulate normal cholesterol levels in the body... reduce soreness... improve circulation and cardiovascular function... detoxify the body... improve vision... and help you sleep better, naturally. WE must be careful to maintain a good healthy balanced diet using all God's foods. they will not heal our hurts, loneliness, inner pain. Only the Life of The Lord Jesus in us can carry us into eternity.